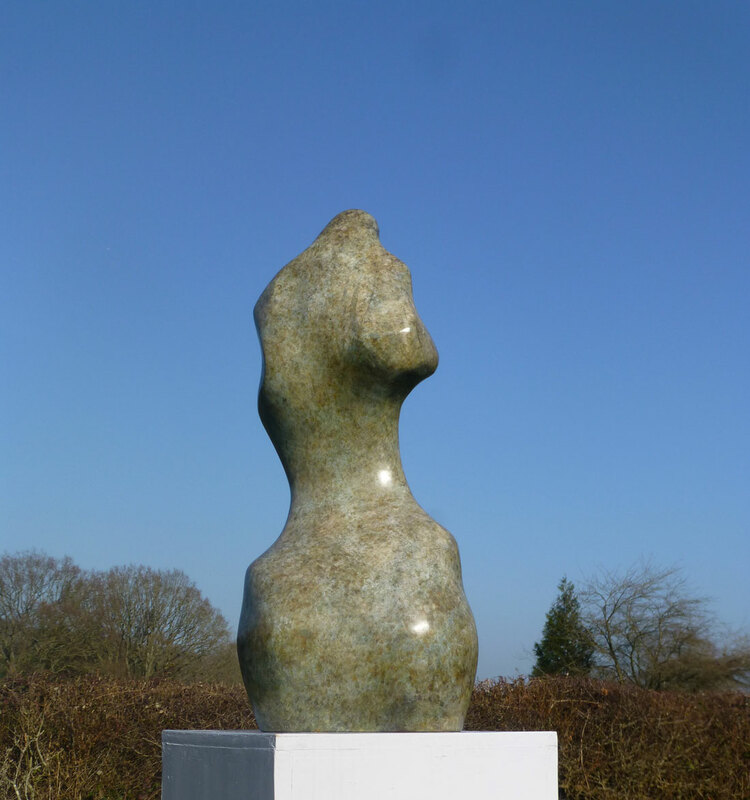 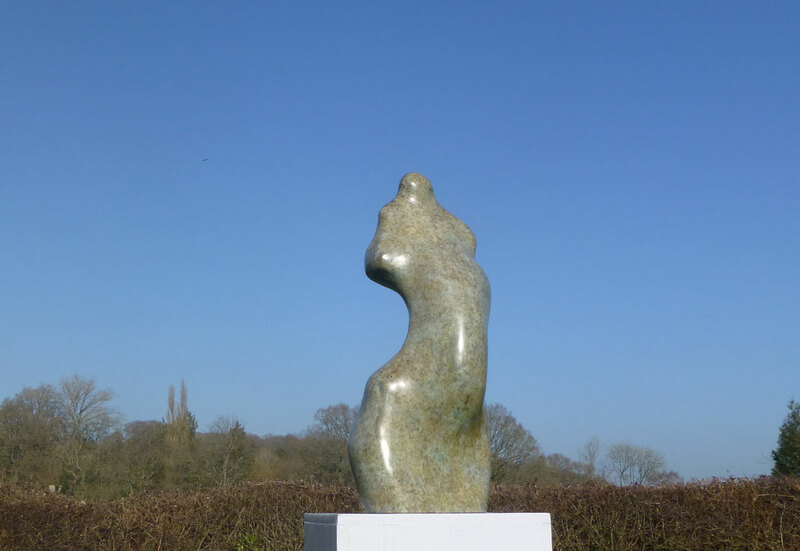 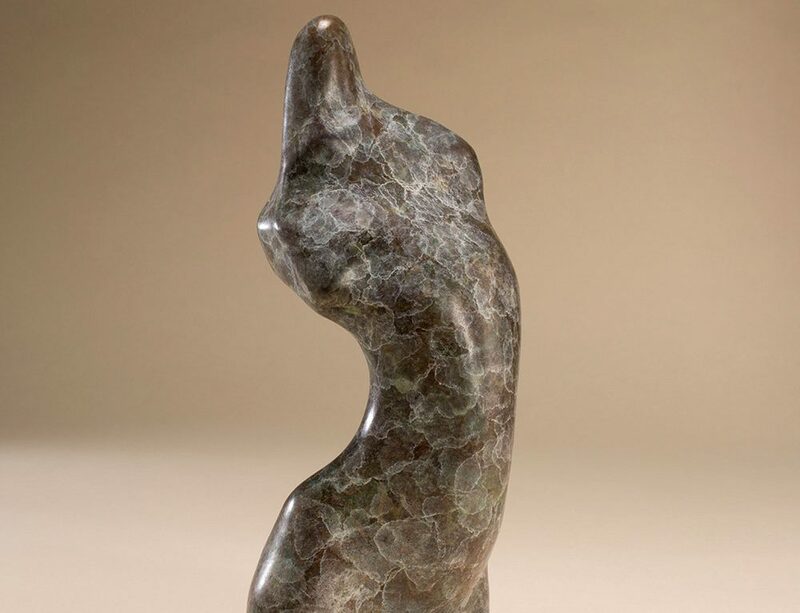 The idea for this piece of sculpture came from a very small piece of flint I found that looked to me something like a female torso. 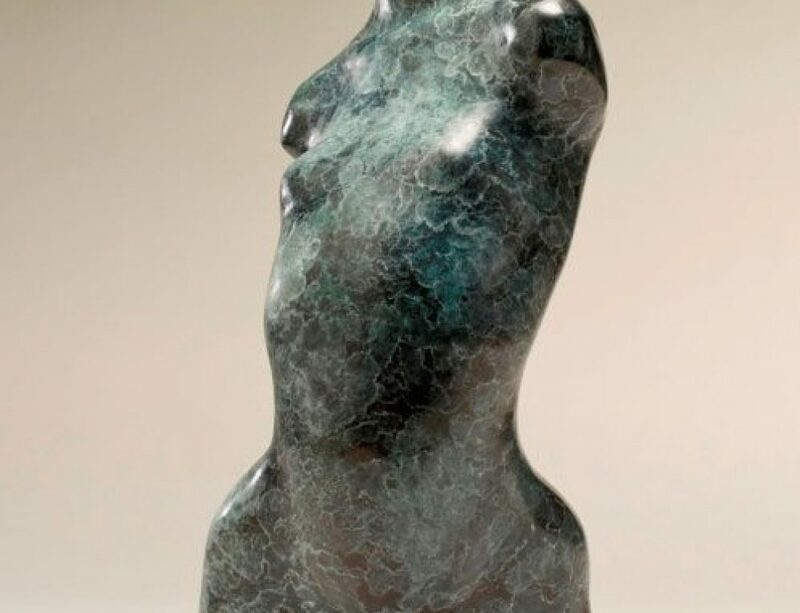 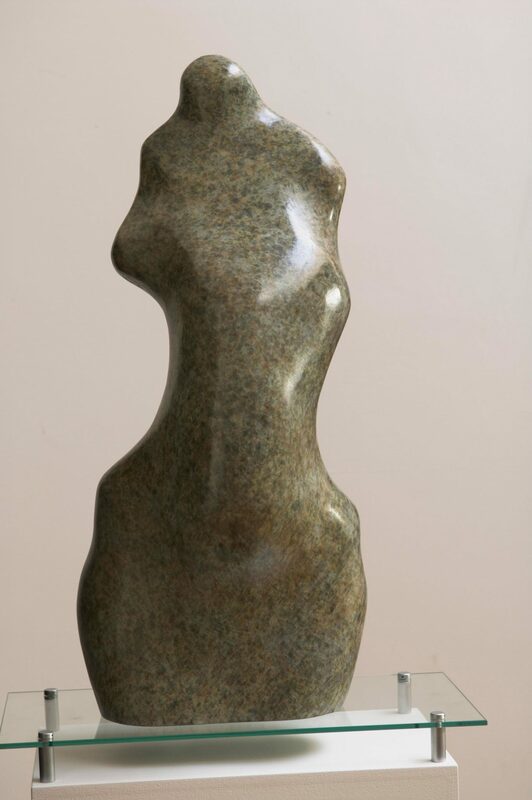 This bronze artwork is 72 cm tall, it is a life sized torso, and is one of a small edition of 9 although each edition number is unique in colour. 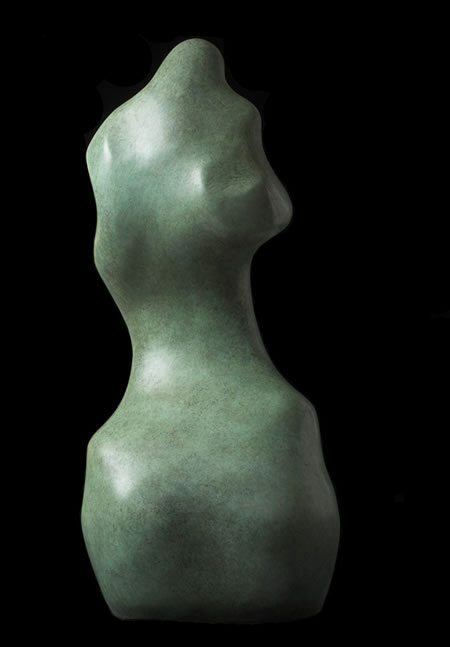 I like to patinate ( colour) each new bronze differently so that they are all unique. 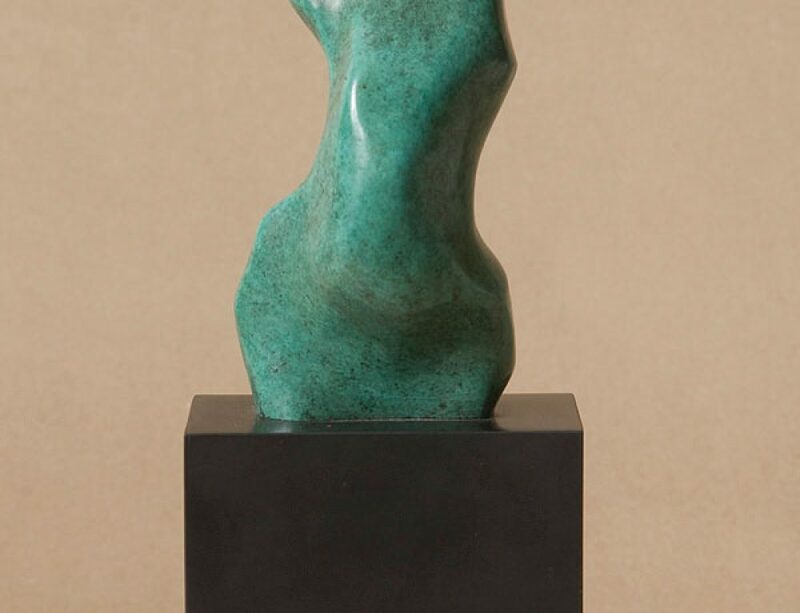 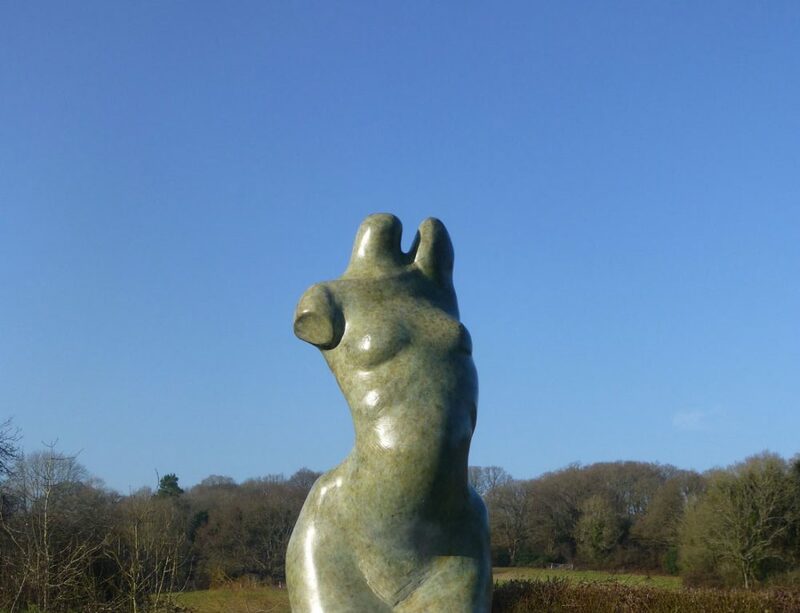 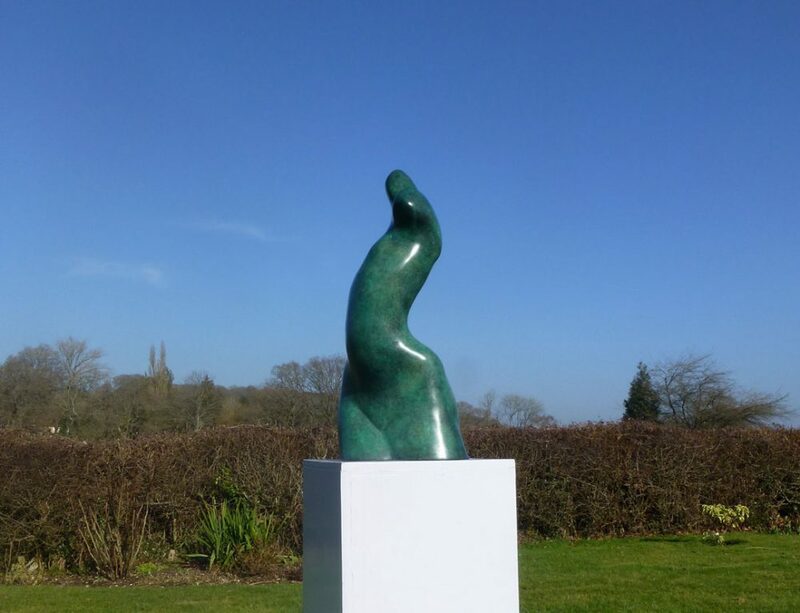 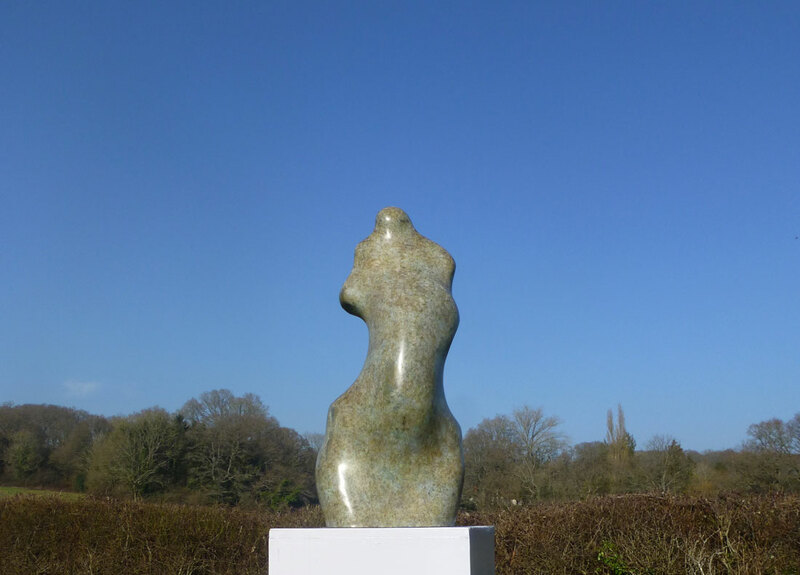 This piece of sculpture is part of the ‘Eve’ series- there are 5 bronzes in this particular series.